“Music was my refuge,” said Maya Angelou. And I couldn’t agree more. During some of my darkest times, it was music that helped me keep my sanity. Several years ago, life threw me a curve that I wasn’t expecting. I don’t have to tell you what I mean, because I’m guessing that you’ve been there yourself. Maybe losing a job, feeling betrayed by a friend, trying to figure out how to survive the loss of someone you love… whatever your challenge may be. Well, that’s where I was. Trying to figure out how to make it to the next day. I just lost my 15 year relationship, had moved into a very small apartment with no furniture, and had no money. But what I did have was a boom box. Yes, a boom box (remember those?) It had a broken antenna so I couldn’t get any radio stations, but I could play one CD at a time. One of the big hits at that time was a song called I Ain’t Settlin by Sugarland. I bought that CD and played it over and over again. Then, in my darkest moments, when I felt like I couldn’t breathe and I just didn’t know how to move forward, I would blast that song as loud as I possibly could. And it helped – if only for a little while. I knew that I was going to be ok. I knew that somehow, someway, I would find the strength and the courage to move on, recreate myself, and find my way to a better place. So, here’s my song: https://www.youtube.com/watch?v=FA26RstqSnw. Just one of the many that made me stand taller, believe in myself, and not let anyone else define me. 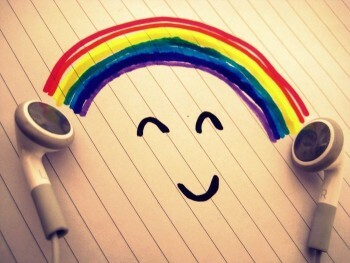 Do you have a song you’d like to share – one that gave you strength, hope, made you smile? Who knows? Maybe we can gather enough songs to create our own Power CD to be played whenever we need a little helping hand. Thank you for sharing your song. I love the idea of a Power CD. I don’t exactly have a power song, but I would like to find one! Just keep listening to new and old music, and when the words make you stop in your tracks and gives you goose bumps, then you know you have found your power song. When you find it, please share it with us. If I get 8 different songs, I’ll put them on an MP3 and share it with everyone on this list. This is a really nice piece, Nancy – and a great subject. I think one of the songs that helped me through Maggie’s death was Garth Brook’s “The Dance.” I viewed the “dance” as being the life Maggie and I had with each other before she died. We faced many challenges and if I knew before hand what our life would be, I may have never chosen to accept it. But having lived it, I would do it again, and again, and again. “Life is better left to chance, I could have missed the pain, but I would have had to miss the dance.” What a loss that would have been. Here’s the link to “The Dance” on You Tube. Thanks for sharing your heart-felt story. We sometimes forget that the pain and challenges we encounter are all part of taking us to the next level and deepening our love – one that we never believed was possible.